Have I mentioned how much I love this series? I love it even more when I take a break between books, because then the repeated information (reminders and relevant facts for new readers) doesn't feel as unnecessary. I understand why they do recaps and re-explain how the world works, but it makes binge-reading the series more difficult. I wish the repeated information was condensed at the beginning of the book (for new readers and people that need to refresh their memories), so it doesn't impact the reading experience of people who are already intimately familiar with the world and characters. Warning: possible spoilers if you haven't read the other books in the series. As for this book specifically, I was thrilled when Kate finally confronted her father. Confronted might not be the right world, but he's no longer an enigma. We get to see him, some of his powers, and we also learn a little more about his history. He definitely knows more about Kate than she thought he did, and I'm curious if everything we've learned about him previously is the truth. There's a lot of mystery surrounding Kate's escape as a baby, and this is the first time she's really getting to ask questions. Roland is also super powerful. I thought Kate and Curran could take on anything, but Roland might be more than the two of them can handle. I think it'll take a collective effort from the world (or at least everyone in Atlanta) to stop him, if he decides to do something dangerous. I really liked the ending for this book! It gave us some closure, but we also know it's not the end. There is still more to Kate and Curran's story, and I cannot wait to see what happens next! 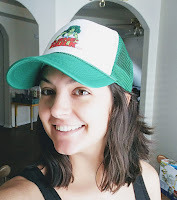 Synopsis (via Goodreads): Nevada Frida Baylor and Connor Ander Rogan cordially invite you to join their wedding celebration. Summoning, weather manipulation, and other magical activities strictly forbidden. It was so easy to fall back into this series! The characters were familiar, and I really enjoyed Catalina's perspective. Renee Raudman (narrator) starts the book off with Nevada, but we quickly switch to Emily Rankin (also a narrator) and Catalina. I thought the transition was done really well, and I think Emily Rankin is going to be an amazing narrator for the next three books in this series. I'm also anxious to see what adventures Catalina will go on! Her sister, Nevada, finally found love and happiness with Conner, and their journey has been one of my favorite stories! Ilona Andrews is a dynamite duo, and I hope they write books forever. Diamond Fire was a quick read, but it told a big story. Catalina has always felt uncomfortable using her powers, because it makes it hard for her to trust the intentions of others. It means her love life is nonexistent, even though we see a potential for something (cannot wait to see how that develops). Catalina starts using her powers more frequently in this book, because she wants to keep people safe, and we see how beneficial her abilities are to investigations (which is the family business, so that's nice). I'm happy her confidence grew as the story progressed, and now she has someone willing to show her the ropes. I'm sure we'll see her develop more control over the course of the next few books, and I really loved her personality in this one. 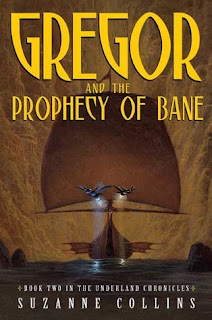 Find the synopsis for Gregor and the Prophecy of Bane (Underland Chronicles, #2) here. Find the synopsis for Gregor and the Curse of the Warmbloods (Underland Chronicles, #3) here. 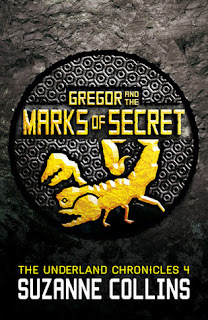 Find the synopsis for Gregor and the Marks of Secret (Underland Chronicles, #4) here. I've really enjoyed reading this series to my kiddos! We're on the last book now (Gregor and the Code of Claw) and had stop due to uncontrollable crying (mine). I don't think I'll be able to keep reading this one to them before bed, because my tears make them think something is wrong with me. It's hard to explain that nothing is physically wrong, just Suzanne Collins shredding my heart. 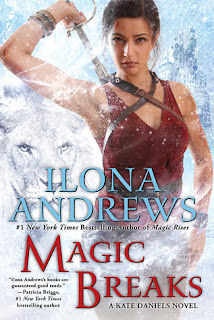 She has a knack for making you love characters, and then destroying you with them later on. This series does have some darker aspects, so I've had to be selective about what I read out loud. They're still a little young to hear about mass murder and excessive violence. It's meant for middle grade readers, and I think it's perfect for that age, but there is a lot of death and sadness (feelings a five-year-old might not be ready to address). I love everything about this series. The characters, the world, the individual prophesies -- all amazing, detailed, and expertly executed. I try to figure the prophesies out as I read, but nothing is clear until the very end (not for me or the characters). The giant bats, rats, and cockroaches are all very unique and interesting. Boots, Gregor, Luxa, Henry, Ares, Temp, Ripred, Twitchtip -- I really do love them all! Everyone brings something to the story, and this series wouldn't be the same without every single one of them. Collins has created a story that I will remember for the rest of my life, and one that I look forward to revisiting in the future. 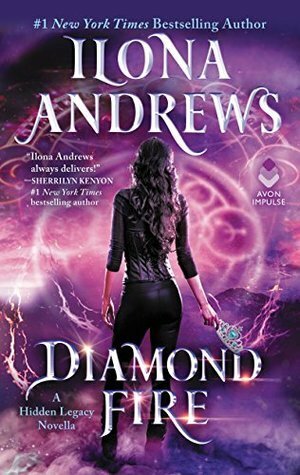 I read Diamond Fire because someone sent it to me and I liked it but I haven't read any of her other books. I'm so glad you enjoy the Gregor the Overlander series! I wish Suzanne Collins would do a companion to the series, it reminds me so much of the Percy Jackson series. Yes! Percy Jackson is one of my all-time favorites! I've already read all of those to my son, and the Harry Potter books. 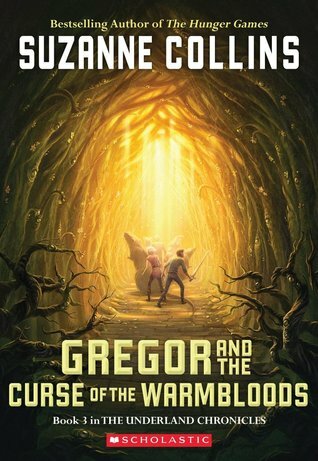 However, there's just something about Gregor the Overlander that really resonates with me. I have twins that are two, so even Boots was relatable. I know how Gregor felt when trying to explain things to his sister, or when he tried to get her to be quiet in a dangerous situation. I really love this series! The Kate Daniels series is one that continually pops up on various recommended for you lists - one of these days I am going to read one! Lol!